Save 90% of time on building web APIs for web/mobile apps or for data integration and reporting. Data sleeps in databases. Bring it to life with SlashDB. 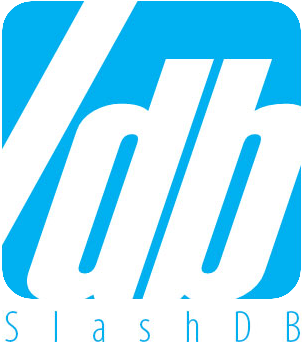 SlashDB automatically constructs a REST API to databases for reading and writing, so their content becomes accessible to authorized users and applications in JSON, CSV, XML and HTML. Use it to save up to 90% of time on backend development for web/mobile applications. Modernize legacy systems for cloud with microservices architecture. Shorten time to market and customer onboarding for your commercial data products. Increase productivity of business analysts, data scientists, quantitative researchers, application developers, database administrators, web developers and other user groups. Webmasters can instantly add API to traditional LAMP stack based websites. Mobile and web application developers leverage SlashDB as gateway to legacy systems. Data scientists and analysts work with unobstructed data sets, using data discovery and SQL Pass-thru features. Big Data architects synchronize relational data into NoSQL databases such as MongoDB or MapReduce data analysis engines such as Apache Hadoop.